GARDAÍ IN KERRY have thanked locals after they assisted them in arresting a driver who had crashed into a wall. In a Facebook post, gardaí thanked “civic-minded locals” for their assistance in following a driver who had crashed into a wall at Killerisk in Tralee. Gardaí were contacted and arrived to apprehend the driver. 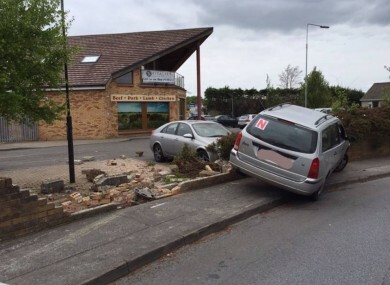 The driver was arrested on suspicion of drink-driving. The driver has now been charged and is facing a court appearance. Gardaí thanked the public for their support and cautioned against drinking alcohol and driving. “We would like to thank the members of the public who assisted us today,” the post reads. We really appreciate it and just want to acknowledge it. Email “Gardaí thank 'civic-minded locals' who followed driver of crashed car”. Feedback on “Gardaí thank 'civic-minded locals' who followed driver of crashed car”.